Pancakes at Josie's, Winchester - Kat Got Your Tongue? 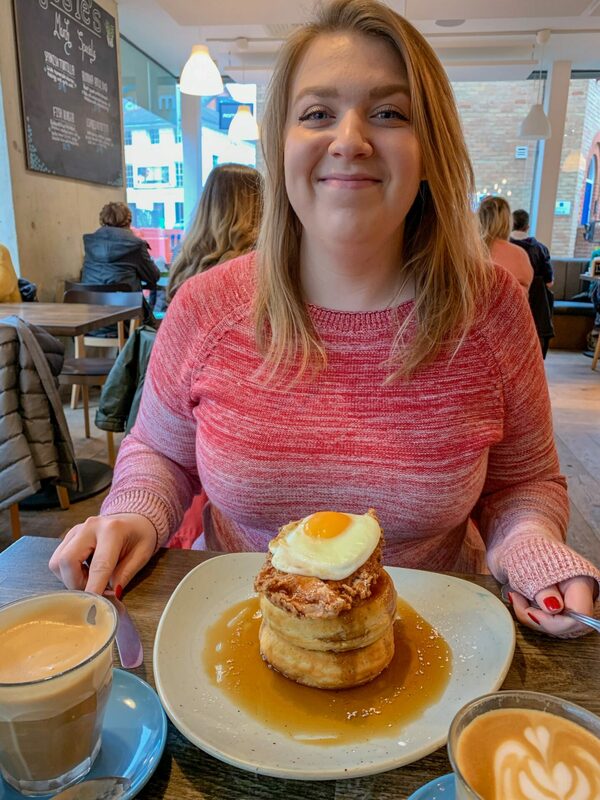 You may remember a few weeks ago I talked about visiting Josie’s in Bishops Waltham for breakfast with a friend – well, I’m pleased to say that I’ve also visited the Josie’s in Winchester for pancakes and they were so excellent that it warranted writing a second post about it! 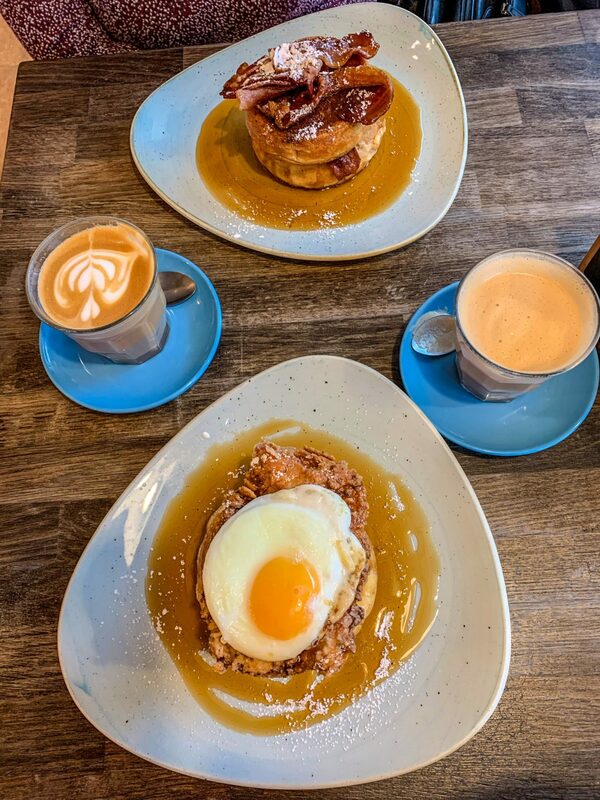 Josie’s are a group of family-run coffee shops serving up delicious food for breakfast, brunch and lunch – originally opening in Bishops Waltham, and expanding to open sites in Petersfield and Winchester. If you’re based near Winchester, you’ll find them along Jewry Street. 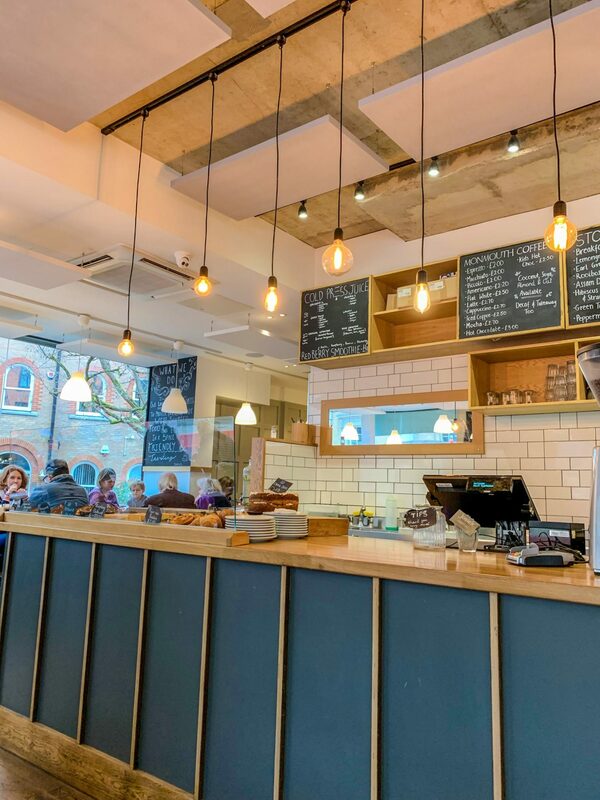 If you’re heading to Josie’s for breakfast, I’d recommend arriving by 9am so that you can get a table – they’re very popular so seats fill up quickly! We settled down and ordered coffees – made with Monmouth Coffee, which is excellent! 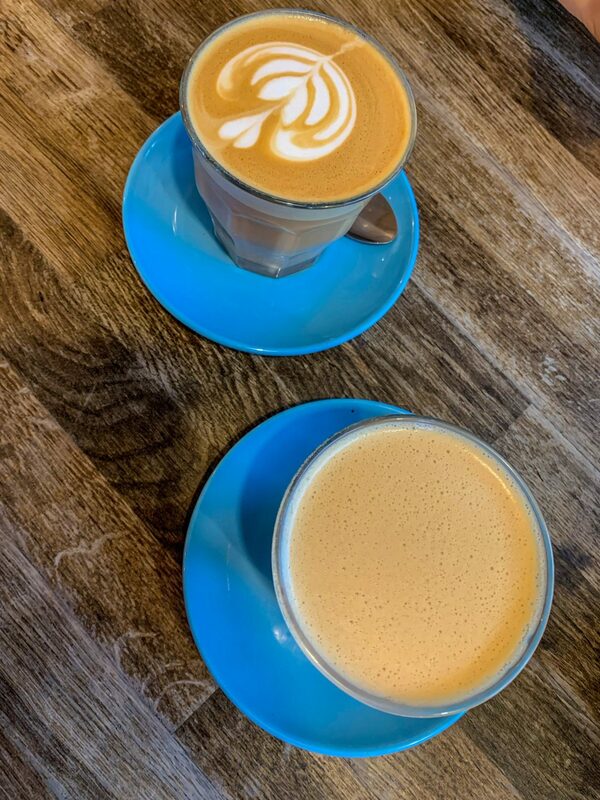 If you’re dairy-free, Josie’s also offer coconut, soya, almond and oat milks, so there’s something to suit everyone! We arrived hungry, ready to devour breakfast after running in from the rain. The only solution? Pancakes! Josie’s are famous for their show-stopping, jaw-dropping pancakes. 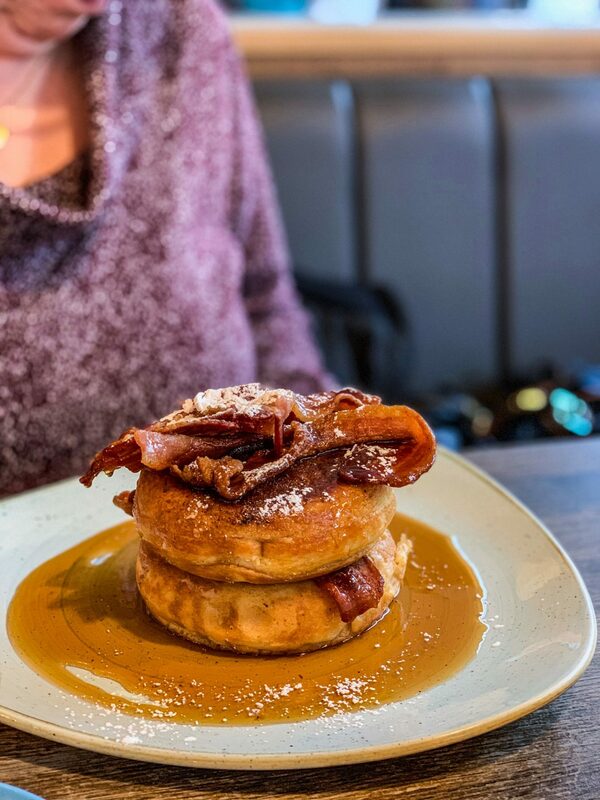 Fluffy, thick and covered in maple syrup, their pancakes are a sight to behold and certainly don’t disappoint on the flavour front. Mum opted for the more traditional bacon & maple syrup pancakes – the perfect mixture of salty & sweet. The combination of fluffy & crispy makes eating the pancakes even more enjoyable! We opted for a 2 stack each – but we didn’t manage to eat all of the pancakes as they’re just so filling. 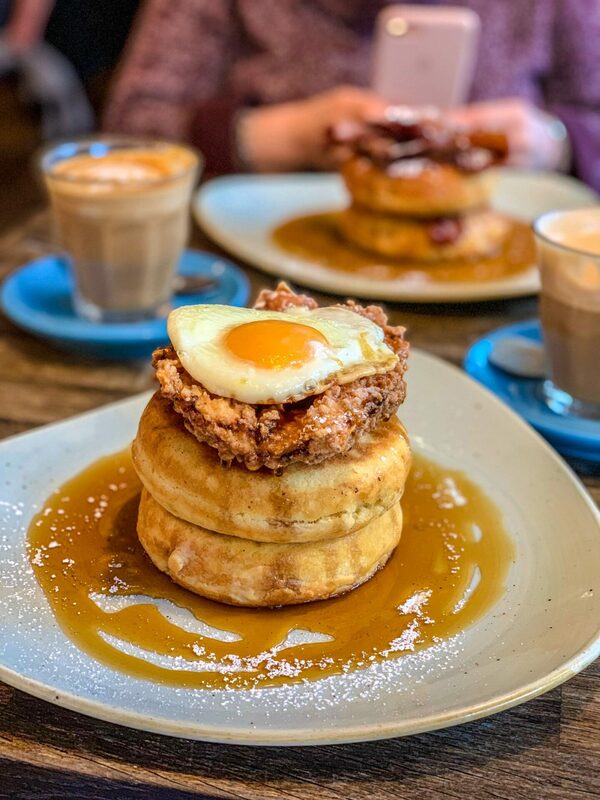 If you aren’t sure how hungry you are, I’d recommend ordering a 1 stack – and if you fancy a challenge, you can order a towering stack of 3 pancakes! The pancakes are priced between £6.95 and £8.95 depending on how many pancakes you would like in your stack, so they’re great value for money and are so tasty. I’m already planning another trip to Josie’s to try a few other things on their menu – perhaps some tater tots and the buttermilk fried chicken benedict? – and I’d highly recommend you plan a visit yourself. If you do visit, I’d love to know what you order! Find their website here. WOW! These look and sound incredible. I have to say I am a lover of Pancakes. I’m going to be doing a round up of my fave ones soon. They seem very reasonably price as well which is good!